South Floridians in the know will tell you, Daniel Tighe is the guy to call when a hurricane, storm, or other unforeseen event damages your property. An attorney with a master’s degree in business administration, Tighe’s journey began with a chance encounter with a homeowner who suffered severe roof damage but had no one to turn to. Tighe stepped up to help, and the firm grew from there. 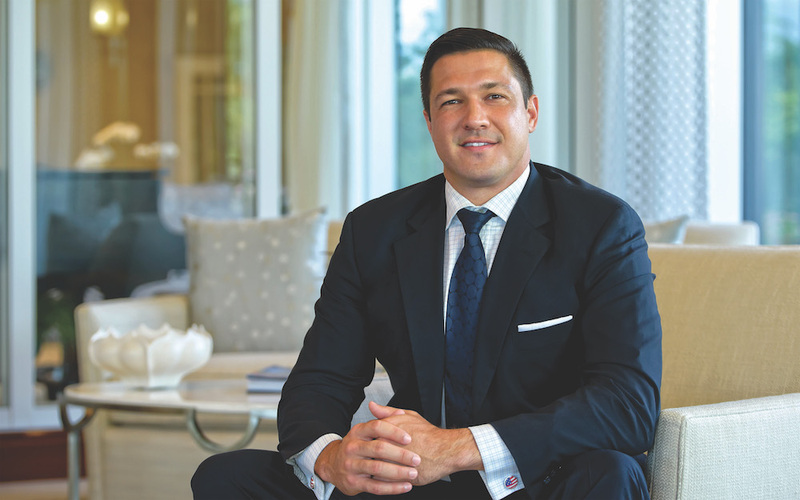 Today, Daniel C. Tighe, P.A has emerged as one of the preeminent insurance law firms in Florida, focused on assisting home and property owners in recovering from property damage issues. Insurance disputes occur frequently following hurricanes and other storm events as insurance companies often become adversarial after a claim is made. This means you’ll regularly find Tighe battling and defeating some of the most powerful insurance companies in the country on behalf of his clients. What drives Tighe and his fast-growing practice is the desire to help his clients rebuild their lives after a loss. “I’ve had the privilege of helping hundreds of good people to literally put a roof over their head, recover from tragedy, or reopen their business and continue pursuing their dreams,” Tighe says. Successfully navigating complex insurance disputes requires a perfect combination of the right knowledge, skills, ability, and, Tighe adds, “team.” He is quick to give credit to the amazing network of professionals in construction, restoration, and law he has cultivated over his career, as well as a personal support network of family and friends. “Although I am humbled by the honor of being recognized by my peers in the legal community, the biggest rewards for me are the many thank-you calls and letters from clients who can now repair their home or reopen their business,” he says.